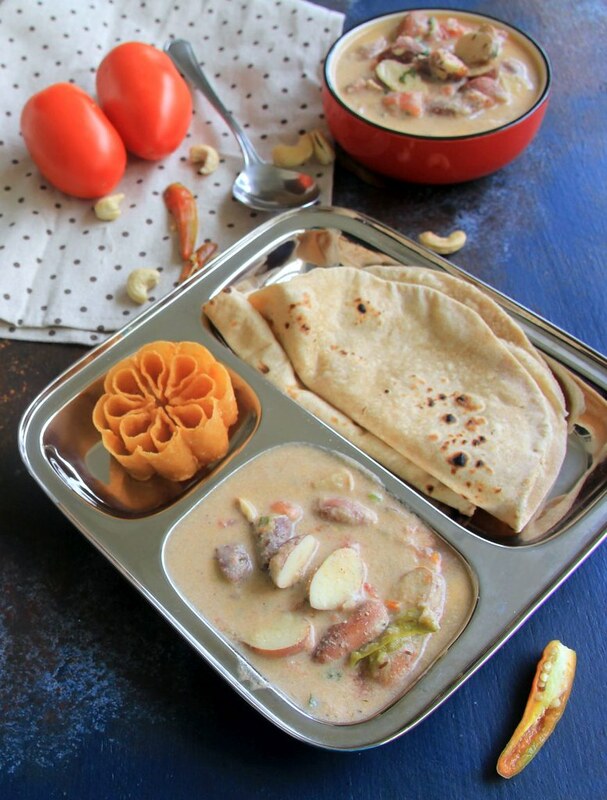 I made this rich and creamy jackfruit seeds korma. It went well with chapathi. Richness came from cashew and melon seeds. I wanted make it as white korma but addition of tomatoes changed the color. So if you prefer to have full white skip tomaotes. Jack fruit seeds alone gave nice taste. But you can do it with Mixed vegetables too. If you are adding vegetables reduce jackfruit seeds quantity. This is definitely must to try during this jackfruit season. Heat 2 teaspoon of oil. Add Garlic and ginger fry for 2 mins in medium flame. Add onion and fry till transparent. Add coconut fry for a min and switch it off. Heat rest of oil and add Shahi jeera and green chillies. Let it crackle. Add Tomaotes. Fry till mushy. Add Grinded coconut paste. Mix well. Add 1 cup of water. Add Pepper powder, garam masla,Jackfruit seeds and required salt. 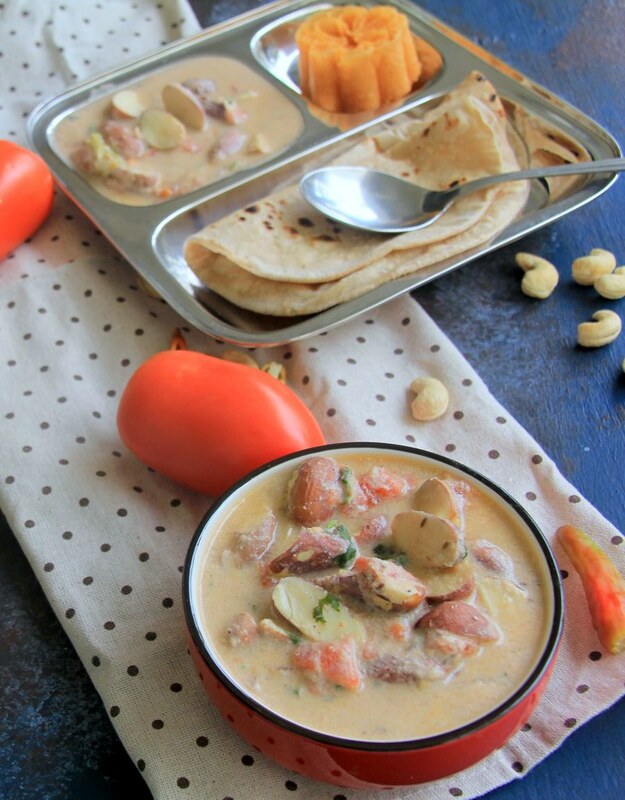 The korma looks rich and delicious and very tempting with the rotis..
wow! 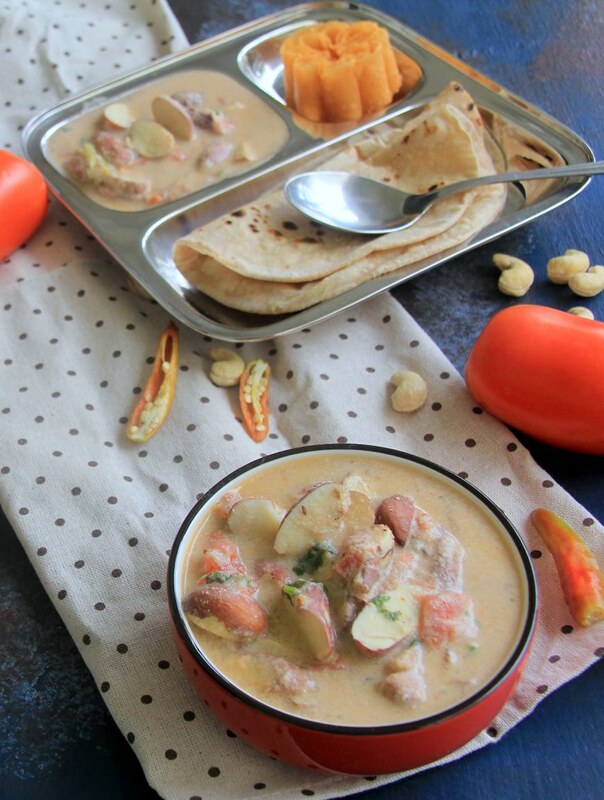 flavourful kurma! love the use of jackfruit seeds!